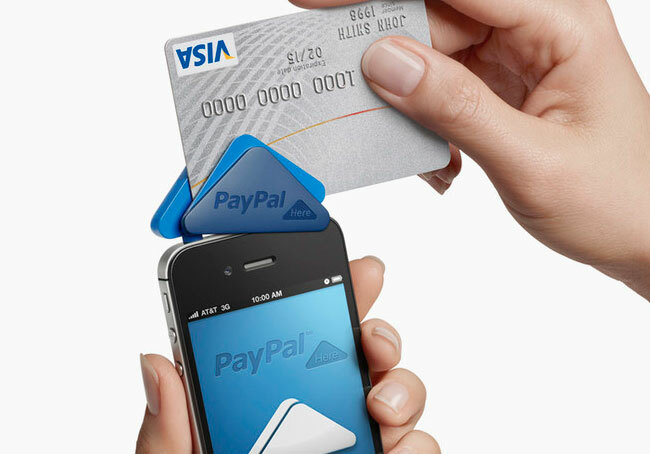 This week as expected PayPal has unveiled their new “PayPal Here” credit card payment dongle for mobile devices. Along the same lines as Square, started by Twitter co-founder Jack Dorsey and launched back in 2010. The new PayPal Here dongle is triangular in shape and PayPal will charge merchants a flat fee of 2.7 percent for each transaction, process through the device. The new PayPal Here dongle also provides a few additional features allowing you to take a photo of the card to accept payment, is equipped with an invoicing system and will also track cash and check payments. PayPal’s mobile vice president David Marcus explained during the unveiling of PayPal Here at the San Francisco event yesterday.